$185.00 a minimum of two hours. 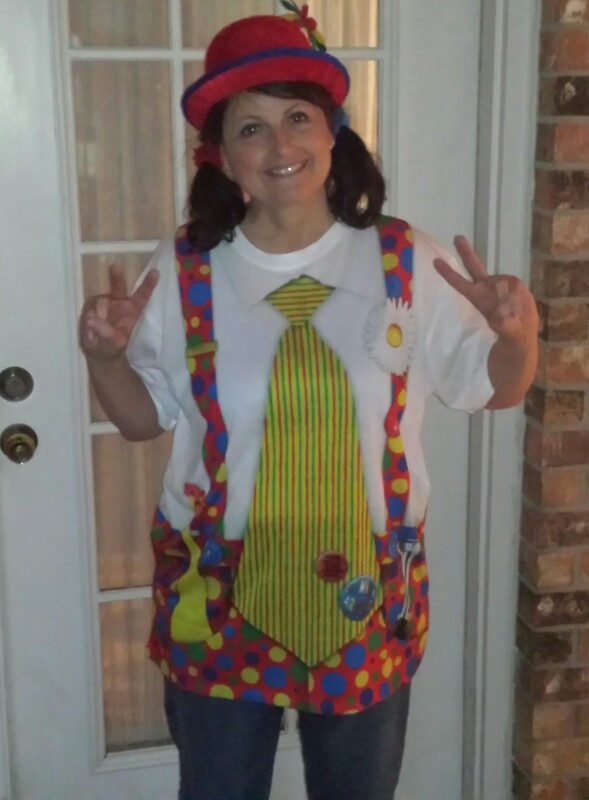 I am Jeanette Sanders appearing in colorful clothing or dressed as " Dusti the "girl" clown"; an engineer costume, ELF at Christmas or a pirate. I face paint, twist balloon shapes, comedy magic, music., two hours includes all of the above, one hour only one of the above services. 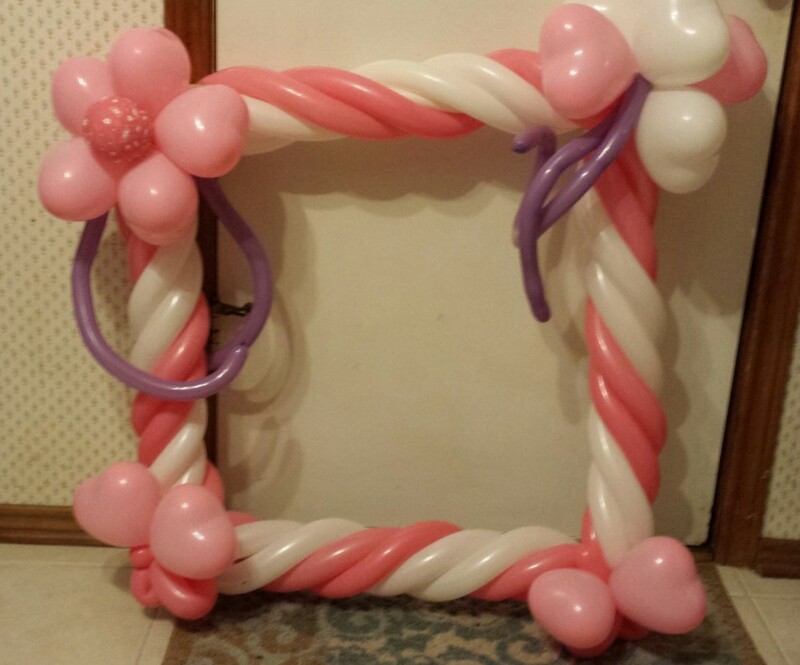 Allow 3 to 5 minutes per child/face painting, balloons Birthday parties for children and adults, Day Cares, Assisted Living, Library shows, Grand Openings. A minimum of two hours for long distant events. During summer months, indoor events only. My balloons and face paint will thank you. I look forward to hearing from you. Dusti the Clown did a superb job at this event. Betty Fry is a Godly woman who offers her home to children and their parents during the Easter holiday. Dusti provided balloon twisting, face painting, and children party entertainment to hundreds of kids at this annual Easter egg hunting event. I would recommend Dusti for any party. THANK YOU SO MUCH for this glowing review.!! This was a fun event and I'm honored to have been chosen to participate with this group of entertainers working with me at this event. Billy Whiskers, Stretch balloon Dude. Mrs. 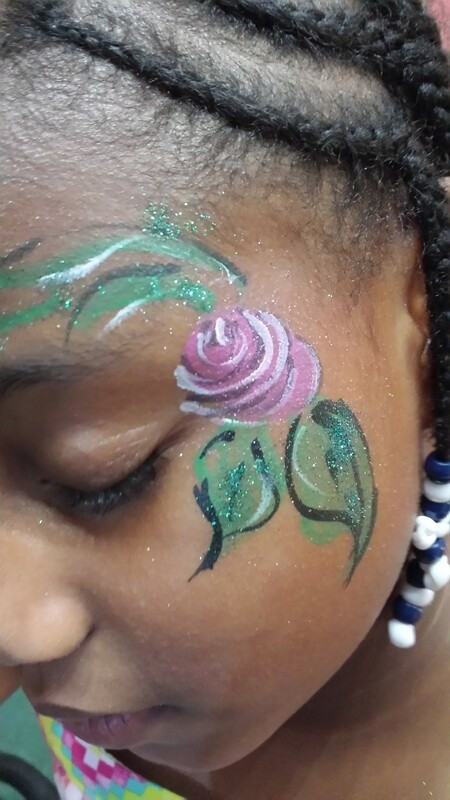 Stretch face painting, Miracle Face painting and myself face painting at this Easter Event. Along with a a great D.J. I hope to be called to this or other events such as this. Thanks again. The kids at our party loved her! Dusti performed for the kids at our company holiday party. She was one of a few entertainers we had since there were around 40 kids. There was always a crowd around her and the kids all had a great time. Thanks! WE COULDN'T GET ENOUGH DUSTI! I have to say when I read the reviews I was on the fence about Dusti but I gave her a chance and boy are we so glad we did! For one we called her on short notice less then 24 hours in advance and she was so happy to help us considering my little girls 8th Bday was the next day and we was cancelled on by another clown and everyone else was either outrageously high or booked. 2 we lived an hour away and out address was an adventure to find but she did it and was on time! 3 she was super fun and even brought a bday present for my little girl! 4 I had a few Autistic kids there and hyper kids and she was sooo patient with them! She kept the hype up in the room and even had my 12 and 13 year old participating in her dancing and singing...to be honest the adults got in on the action too and we all tapped into our childhood again I was surprised to see my grandmother up even shaken a leg my mom laughing and the guys being boys as well! Dusti did run a little over time but we didnt mind at all we COULDN'T GET ENOUGH OF DUSTI and was sad to see her go when it was all over! 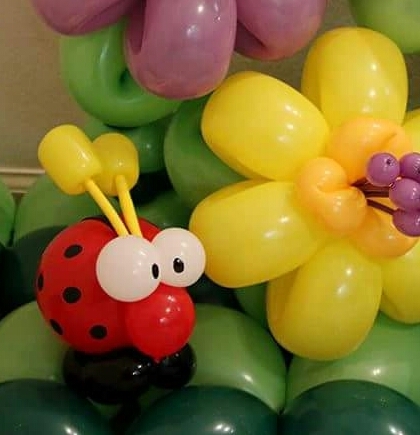 From 2 pm to 630 she kept 10 kids and just as many adults entertained with her singing dancing games silly magic beautiful face painting and extravagant balloon art! Even when she left we kept talking about her. Normally we are ready for the party to end after an hour or 2 but the time went by so fast with Dusti we couldnt believe the time when it was over! The best part was when I was tucking in my 8 year old for bed and she said Mommy I love you thanks for the best party ever Dusti was my dream come true! I want to have her come to all my partys! (: I guess this will be a start of a beautiful fun friendship with a awesomely talented Clown named Dusti! I will recommend her to everyone I meet! Thank you for this warm/glowing review. It was my pleasure. I'm thrilled to know the Birthday girl and the family had a good time. My goal was to deliver good party entertainment. This review is overwhelmingly beyond my expectations. Thank you so so very much for your kind words. Dusti. Fellow Entertainer thinks Dusti Rocks! I have to admit that I found these other reviews shocking! I can only guess there were some very unrealistic expectations! Dusti is a seasoned professional and I met her when I was a nothing, yet she was willing to meet me where I lived to deliver a table I had loaned to another entertainer friend! I have worked with her at volunteer events and through guilds! Let me say that there are a lot of entertainers that don't donate diddly! Dusti The Clown has a sweet spirit and a big smile and I CANNOT imagine children not enjoying her talent (balloons, clowning, face painting +). Thank you Kathy for your support. This means a lot coming from you. they are felt within the heart. What you've done for me is one of them. Cynthia said her guests would be late - - She asked me to do only games - no show - when I set up the electrical out let didnt work so I began passing out my stickers and talked to the children and the parents. Cynthia rushed me through the activites. The children were wonderful and we had fun with games and a few magic tricks and party favors- When I began twisting balloons Cynthia rushed me through the balloons- the children wanted more balloons but she wanted me to leave - I offered to twist more balloons and leave them while they did cake and presents-she refused-she also had an argument with the (park)building employee - She only paid me a portion of my fee. 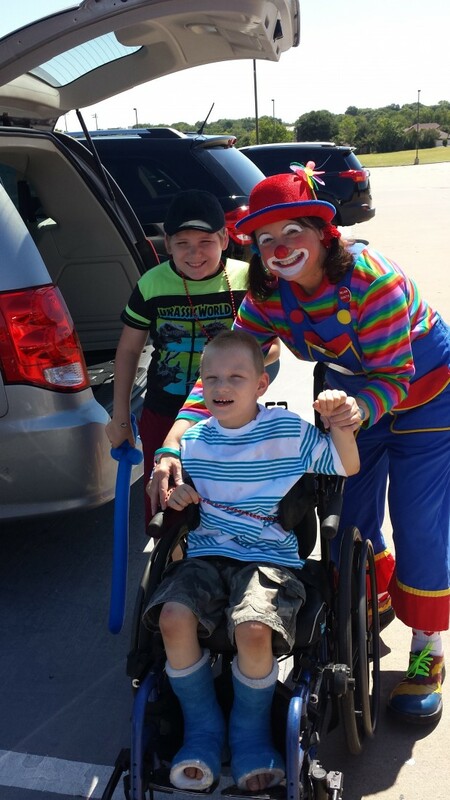 Dusti The Clown is a whiz at entertaining kids! I have seen Dusti interacting with lots of kids and they all laugh and giggle a lot...she knows how to keep their attention. Plus, the adults have fun too. Price Range: $185.00 a minimum of two hours.